Yep, 20 years, same time, same place! 2019 Every Saturday, 9am to 1:30, June through Oct....On Market days we fill 9th Street between Main & Klamath Ave. We are an open air Market where local growers, producers and artisans gather to sell to the public...Come join us for an hour or so, wander the market and enjoy fresh locally grown produce, bakery goods and fine artisan handicrafts...visit with our farmers and ranchers, friends and neighbors and enjoy our downtown. When: Saturday, March 16, 2019 at 2:00pm. 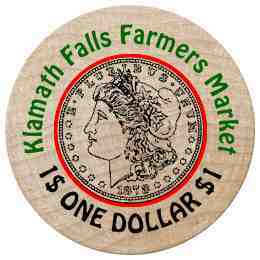 Where: OSU Klamath County Extension Center, 6923 Washburn Way. This meeting is essential for returning and new vendors, both growers and artisans. We will be introducing our new Board of Directors and officers, discussing new policy for association membership and more...the organizational structure is being reviewed and discussed, so attending this annual meeting is critical to understanding what is happening with YOUR organization and having your voice heard. Come early for networking and socializing, refreshments will be provided. 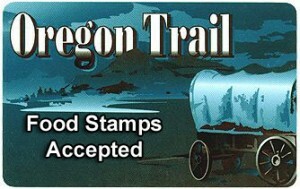 please call the Oregon Department of Agriculture (ODA) at 503.872.6600 for an application packet. Provided and updated by "The Answer People"